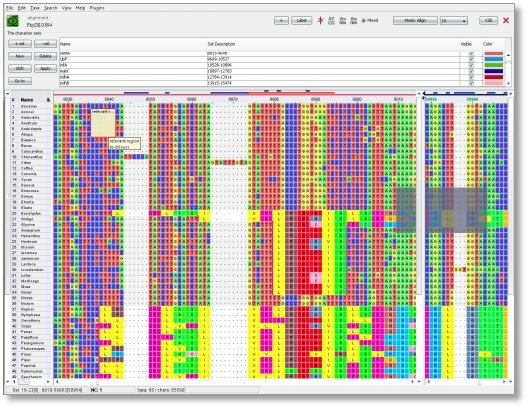 PhyDE® (Phylogenetic Data Editor) is a system-independent editor for DNA and amino acid sequence alignments, designed to assist anybody interested in phylogenetic or other comparative analyses of sequence data. 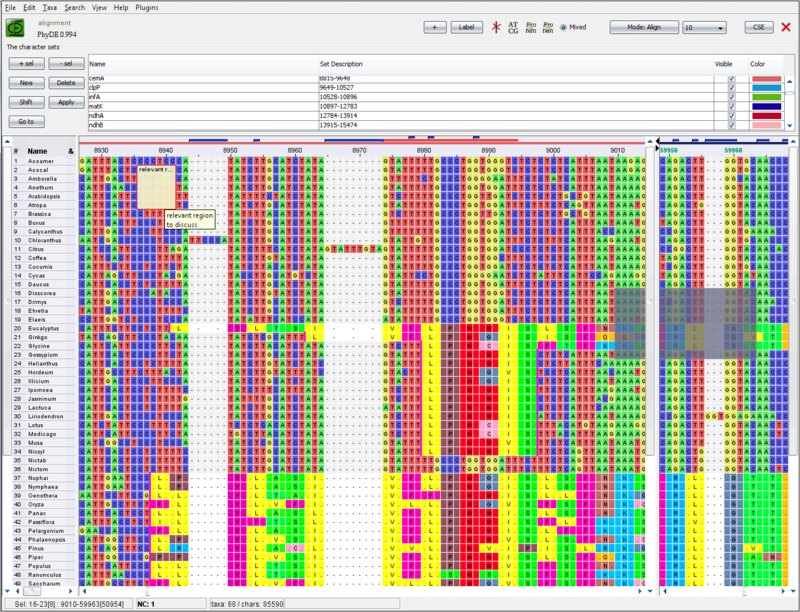 PhyDE features various functions designed to smooth the progress of manual alignment improvement and helps in the assembly of sequence data from trace files. A plugin architecture allows the user to individually enhance the functionality by a growing list of existing plugins or by writing own plugins. PhyDE® is a registered trade mark of Jörn Müller, Kai Müller, Christoph Neinhuis and Dietmar Quandt.